Selling opportunity only below 8000 level, before that every dip will be a buying opportunity, nifty moving toward 8350-8400. Slight profit booking from upper level is obvious, buy on every dip buy for the target of 18250-18500. A divergent trend for various index constituents resulted in minuscule losses for key benchmark indices. The barometer index, the S&P BSE Sensex, fell 34.05 points or 0.12% to 27,272.78, as per the provisional closing data. 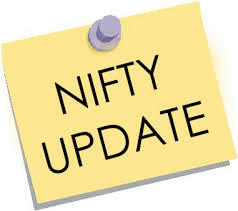 The 50-unit CNX Nifty fell 9.95 points or 0.12% to 8,251.70, as per the provisional closing data. The market breadth indicating the overall health of the market was negative. On BSE, 1,391 shares fell and 1,242 shares rose. A total of 172 shares were unchanged. The BSE Mid-Cap index provisionally fell 0.13%. The BSE Small-Cap index provisionally fell 0.34%. The decline in both these indices was higher than Sensex's decline in percentage terms. 1. Metal shares edged higher. Vedanta (up 3.36%), Hindustan Zinc (up 2.33%), Tata Steel (up 1.66%), National Aluminium Company (up 1.63%), Jindal Steel & Power (up 1.46%), Hindalco Industries (up 1.36%), JSW Steel (up 1.32%), Steel Authority of India (up 1.09%) and Hindustan Copper (up 0.60%), edged higher. NMDC (down 0.49%) and Bhushan Steel (down 1.29%), edged lower. 2. ACC rose 0.22% at Rs 1,385.20. The stock hit a high of Rs 1,386.20 and a low of Rs 1,358 in intraday trade. ACC's consolidated net profit fell 40.2% to Rs 115.21 crore on 1.5% decline in total income to Rs 2808.29 crore in Q3 September 2015 over Q3 September 2014. ACC said that the company made a provision of Rs 38 crore in Q3 September 2015 for the District Mineral Foundation and National Mineral Exploration Trust. While sales realization was almost flat, there was a reduction in input and energy costs, ACC said. The company continues its focus on cost management, ACC said. 1. HDFC Bank edged lower as second quarter results came more or less in line with market expectations. The stock fell 0.18% at Rs 1,093.15. The stock hit a high of Rs 1,103.90 and a low of Rs 1,085.30 in intraday trade. The bank's net profit rose 20.49% to Rs 2869.45 crore on 24.68% growth in total income to Rs 17324.28 crore in Q2 September 2015 over Q2 September 2014. HDFC Bank's net interest income rose 21.2% to Rs 6680.90 crore in Q2 September 2015 over Q2 September 2014. 2. In overseas stock markets, Chinese equities retreated from an eight-week high as investors weighed whether an equity rebound had gone too far. The Shanghai Composite lost 3.06%. Japanese stocks edged higher as data showing lower-than-expected growth in Japan's merchandise exports in September 2015 added to expectations that the Japanese government will announce fiscal stimulus and the country's central bank will announce expansion of its bond-buying program. Weak Japanese data in recent months has fueled expectations for additional fiscal and monetary stimulus. Recent data showed that Japanese industrial production fell for the second month in a row in August 2015. European stocks edged higher in volatile trade. 1. 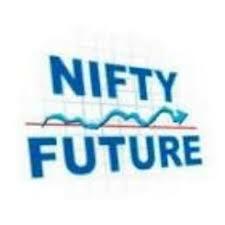 In today’s session we have seen call buying in 8000 and 8100 strike price, we may see 8200 as a strong support level in coming days. 2. TATASTEEL 240/250 calls are so active we may see 240 level will be a support level for stock. 3. IDEA 160 puts were so active today, we may see more selling below 160. BUY TATAMOTORS AS REMAIN ABOVE 370 WE MAY SEE 400/410 LEVEL IN COMING DAYS. Buy ONGC above 250 level we may see 270/280, below 250 major support will be 242. Sell HINDALCO as remain below 87 we may see 82/80 level in coming days. 1. LUPIN ABOVE….? TGT…..?STOP LOSS……? 1. INDIAN EQUITY BENCHMARK ended in negative terrain snapping three-day gain, led by selling in frontline blue chip counters, tracking a subdued trend in fellow Asian stocks as uncertainty remained over China with the world’s second biggest economy slumping to its lowest growth in more than six years last quarter, souring risk taking appetite. 2. Gati shed 7.03%, after consolidated net profit fell 16.45% to Rs5.79 crore on 1.73% decline in total income to Rs407.72 crore in Q2 September 2015 over Q2 September 2014. 3. Rane Brake Lining rose 2.76%, after net profit surged 123.6% to Rs3.89 crore on 9.4% rise in net sales to Rs109.22 crore in Q2 September 2015 over Q2 September 2014. 1. Asian equities fell across the board after commodity prices languished in the wake of China growth woes and dampened risk sentiment, while the euro hovered near a 10-day low ahead of a European Central Bank meeting. 2. European shares fell for the first time in four days and the euro kicked away from a 10-day low as solid euro zone bank lending data cooled expectations of another jolt of European Central Bank stimulus this week. 3. US stock index futures poised for a lower opening at the Wall Street on Tuesday. Fantastic recovery from lower level, we may see 18250-18500 level in coming days, no sell only buy on dips. 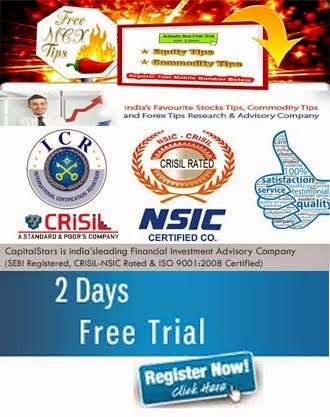 Post result rally for index heavyweight Reliance Industries (RIL) and gains for another index heavyweight Infosys and pharma stocks helped key benchmark indices register modest gains. The barometer index, the S&P BSE Sensex, rose 141.54 points or 0.52% to 27,356.14, as per the provisional closing data. 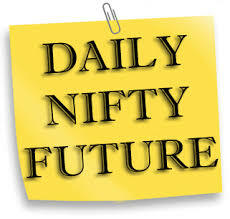 The 50-unit CNX Nifty rose 36.90 points or 0.45% at 8,275.05, as per the provisional closing data. The trigger for the latest upmove for Indian stocks was an announcement from the finance ministry that it is seeking the views of foreign portfolio investors (FPIs) on measures to simplify the procedures and documentation for registration of FPIs in India. 1. RIL surged after stronger-than-expected Q2 September 2015 results. The stock rose 5.42% at Rs 961.60. The stock hit a high of Rs 965.20 and a low of Rs 941.60 in intraday trade. RIL's consolidated net profit rose 12.52% to Rs 6720 crore on 33.8% decline in turnover to Rs 75117 crore in Q2 September 2015 over Q2 September 2014. The result was announced after market hours on Friday, 16 October 2015. A strong showing of the refinery business and increase in profit margins of the petrochemicals business led to a stronger-than-expected growth in RIL's bottom line in Q2 September 2015. RIL's gross refining margins (GRM) hit a seven year high of $10.6 per barrel in Q2 September 2015. The GRM was $8.3 per barrel in Q2 September 2014. The profitability of the petrochemicals business improved due to a combination of strong volume growth, product mix improvement and lower energy costs. 2. Aviation stocks surged after InterGlobe Aviation, the operator of low cost passenger airline IndiGo, announced that its initial public offer (IPO) will open for bidding on 27 October 2015. SpiceJet was locked at 10% upper circuit at Rs 47.55 on BSE. Jet Airways (India) surged 9.35%. The IPO of InterGlobe Aviation comprises of fresh issue of equity shares aggregating Rs 1272.20 crore and offer for sale of up to 2.61 crore shares by existing shareholders of the company. The price band for the IPO has been set at Rs 700 to Rs 765 per share. The IPO is scheduled to close on 29 October 2015. IndiGo operates as a low-cost carrier or LCC business model and focuses primarily on the domestic Indian air travel market. 1. UltraTech Cement fell in volatile after the company announced second quarter results. The stock shed 1.69% to Rs 2,905. 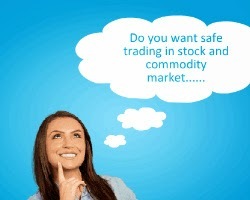 The stock hit high of Rs 2,995 and low of Rs 2,886.05 in intraday trade. The company's consolidated net profit rose 3.14% to Rs 427 crore on 4.02% rise in net sales to Rs 5951 crore in Q2 September 2015 over Q2 September 2014. The result was announced during market hours today, 19 October 2015. UltraTech Cement's profit before interest, depreciation and tax rose 11.75% to Rs 1103 crore in Q2 September 2015 over Q2 September 2014. 2. The market breadth indicating the overall health of the market was positive. On BSE, 1,569 shares rose and 1,154 shares fell. A total of 161 shares were unchanged. The BSE Mid-Cap index provisionally rose 0.69%. The BSE Small-Cap index provisionally rose 0.77%. Both these indices outperformed the Sensex. 2. DRREDYS 4200 and 4300 calls were so active we may see buying as remain above 4200. Sell AMBUJA as remain below 215 we may see 205/195 level in coming days. 1. HINDALCO ABOVE….? TGT…..?STOP LOSS……?